Sosharu is a new Japanese restaurant venture from Jason Atherton, with executive head chef Alex Craciun bringing a year's worth of culinary training in Kyoto to the project. Small dishes made with British ingredients are the main focus, along with a daily changing tasting menu served in a separate space called Kisetsu. Sosharu, Turnmill Building, 64 Turnmill St., London EC1M 5RR, 020-3805 2304. Tiny Leaf has opened in Notting Hill. It’s the first organic, vegetarian and zero-waste restaurant in London. The four-story site is temporary while those behind the project search for a permanent location. It was launched by food writer, food activist and chef Justin Horne, along with general manager Jonathan Krauss (previously of celebrity haunt Chiltern Firehouse), and the aim is to promote awareness about food waste with a daily-changing menu, based on using surplus food from suppliers such as Planet Organic. Tiny Leaf, 209 Westbourne Park Rd., London W11 1EA, 020-7243 9818. Oblix has launched a new bar menu with concoctions influenced by all facets of America's history. Expect the likes of a unique take on the classic Moscow Mule, and a drink topped with a white chocolate skull and spun sugar. 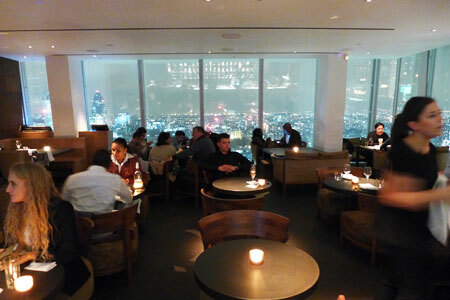 Oblix, The Shard, 31 St. Thomas St., 32nd floor, London SE1 9RY, 020-7268 6700. The normally private members club on floors 39 and 40 of The Gherkin will open to the public for Masterchef: The Professionals judge Monica Galetti's latest pop-up on a series of dates between January and February. Searcys at The Gherkin will play host to Galetti's set lunch and dinner menu, showcasing seasonal wintry dishes, with restaurant head chef Renee Miller overseeing things day-to-day. The 3-course lunch will be £45 and the 3-course dinner £55. Searcys at The Gherkin, The Gherkin, 30 St Mary Axe, London EC3A 8EP, 020-7071 5025. Hedone chef-owner Mikael Jonsson is leaving his consultancy role at Antidote wine bar and restaurant. The menu will continue under the full control of head chef Michael Hazlewood. Jonsson had been brought in to consult in 2014. 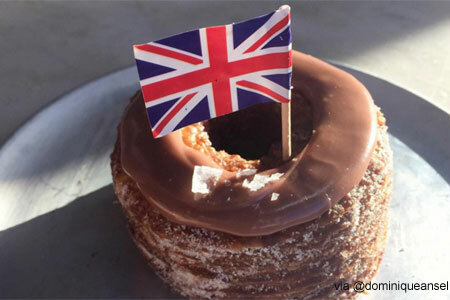 Antidote, 12A Newburgh St., London, UK W1F 7RR, 020-7287 8488. Jean-Philippe Blondet is now the executive chef at Alain Ducasse at The Dorchester. He had served as sous-chef under Jocelyn Herland since 2013. Alain Ducasse at The Dorchester, The Dorchester, Park Lane, London W1K 1QA, 020-7629 8866. Following a huge refurbishment and expansion, the 150-year-old restaurant and Champagne bar Kettner's will be relaunched as Kettner's Townhouse in 2018, after being taken over by members club Soho House. Kettner's closed its doors in its current form on January 30, 2016. Kettner's, 29 Romilly St., London W1D 5HP, 020-7734 6112. Le Chabanais closed after just a few months in business. It was a London offshoot of the Parisian bistro Le Chateaubriand. Le Chabanais, 8 Mount St., London W1K 3NF, no phone.